President Trump got a rude reminder that his Russia-related troubles are far from over. In fact, they could be heating back up. Newsweek is reporting that Glenn Simpson, the man whose firm oversaw the compilation of what came to be known as the “Pee-Tape Dossier,” may soon testify in public. Simpson’s consultancy, Fusion GPS, contracted former British intelligence officer Christopher Steele to investigate Trump’s many Russian and Eastern European associates and past business deals. Fusion expected him to return with run of the mill opposition research. What Steele delivered was anything but run of the mill. Steele’s dossier alleged that Trump colluded with Russian agents to undermine opponent Hillary Clinton in the 2016 election. It also included lurid claims that the Russian government possessed compromising material on Trump, including a video of him getting Russian prostitutes to urinate on a Moscow hotel room bed on which Barack and Michelle Obama once slept. The dossier has cast a shadow over the entire Trump-Russia scandal. 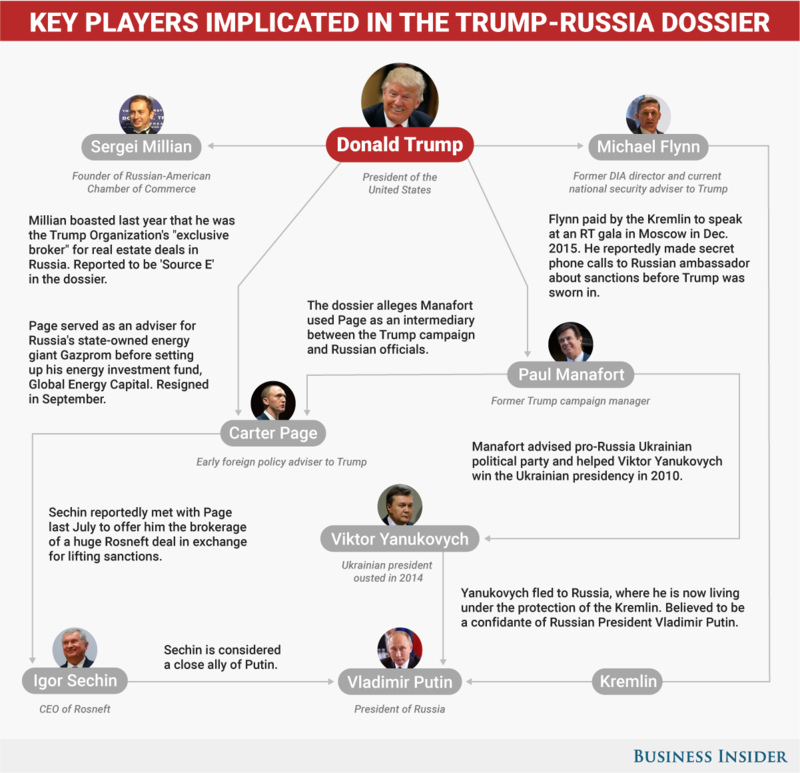 U.S. intelligence agencies have known about the dossier since before President Trump took office, and it’s been reported that the FBI has been using the dossier as a road map for its own investigation into his campaign’s possible collusion with Russia to influence the 2016 election. 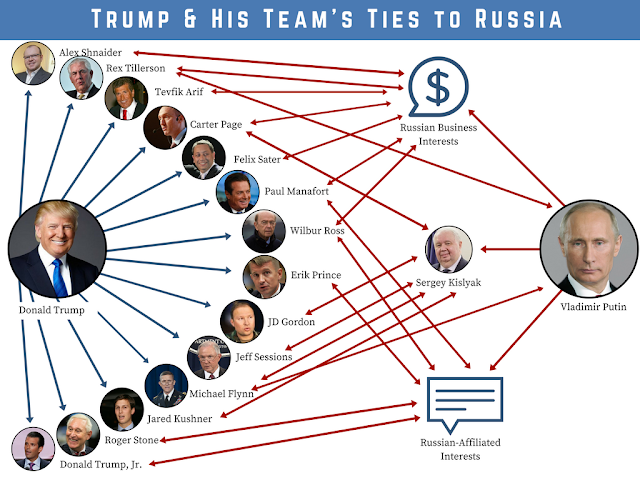 Continue for a more detailed chart showing Trump ties to Russia. News of the dossier leaked to the media during the transition, and while everyone reported its existence, most outlets omitted the details of the seedy allegations contained in it. Then Buzzfeed blew the walls off the story when they published a copy of it verbatim. Senator Richard Blumenthal (D-CT), another member of the Senate Judiciary Committee, echoed Grassley’s sentiments, but went even further. “I certainly will vote to make them public.” he told Morning Joe on MSNBC today. “But even more important, Glenn Simpson should testify before the committee in the open, under oath.” Sen. Blumenthal called on other figures in the Russia investigations, including Donald Trump, Jr., to testify publicly as well. Donald Trump is coming off one of the worst stretches of his still nascent presidency. The last thing he needs is the public to refocus on the Russia election hacking scandal. Sadly for him, that now appears to be out of his control.